If only for two days before they leave for the state wrestling championships in Bossier City, the St. Amant Gators can do what most teams take for granted next week - practice on their own mats at their own school. 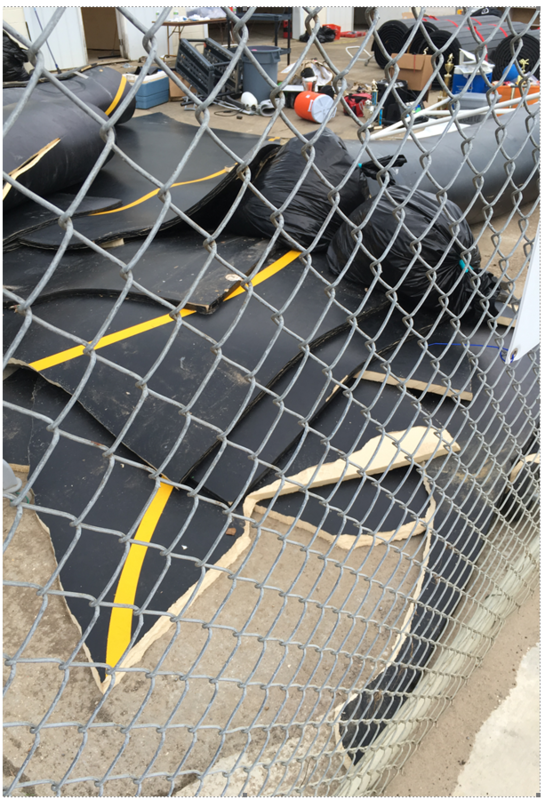 St. Amant was recognized as the winner of the Dollamur Sport Surfaces "Mat Makeover" contest. The unveiling ceremony will be held at St. Amant High School (12035 LA Hwy. 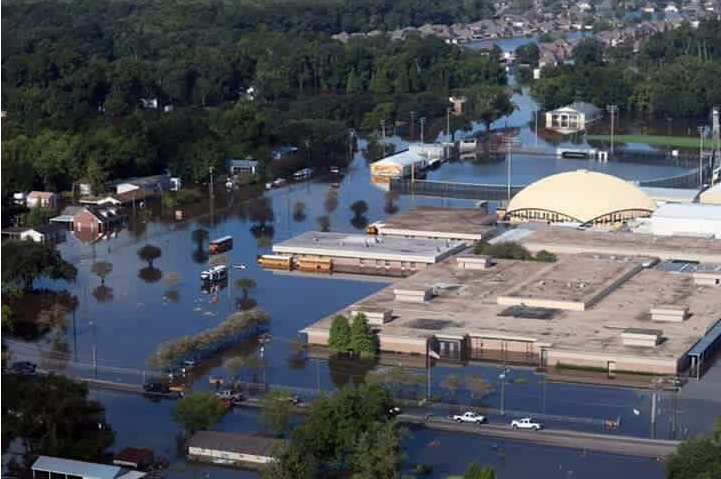 431) on Tuesday, February 7th at 10:30 a.m.
St Amant High School was devastated by floodwaters that started rising on August 12th, 2016, and did not start receding until August 15th. 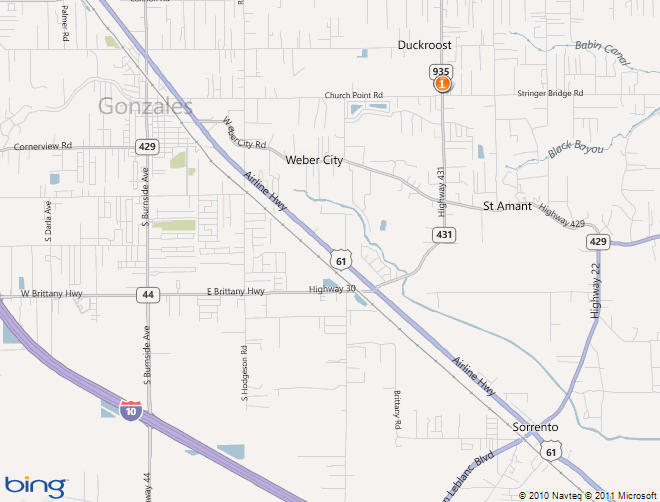 Some areas received 19 to 31 inches of rainfall over a 15-hour period. No one expected that eight area rivers demolished their previous flood stage records. Damages to the greater Baton Rouge area were estimated between $10-15 billion. 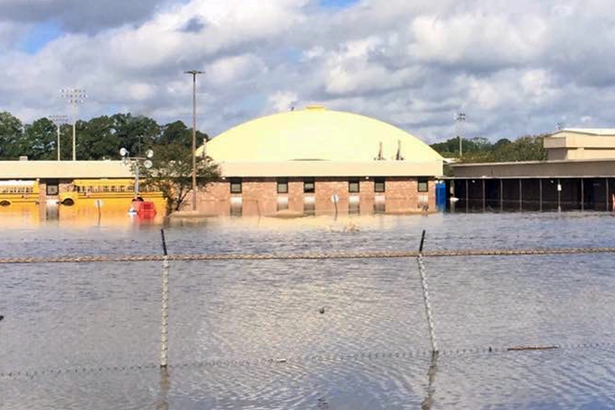 With damages of that nature, it is easy to understand that rebuilding the St. Amant wrestling room was not a high priority. 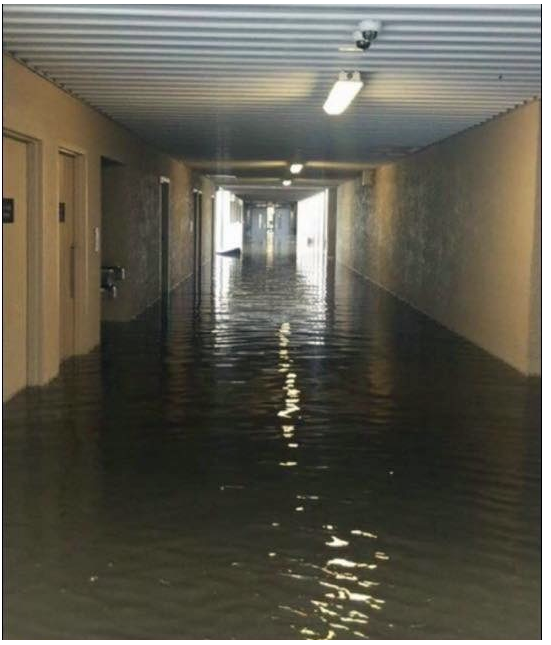 St. Amant High School had over three feet of water in their hallways after the deluge. At right, a ruined wrestling mat. 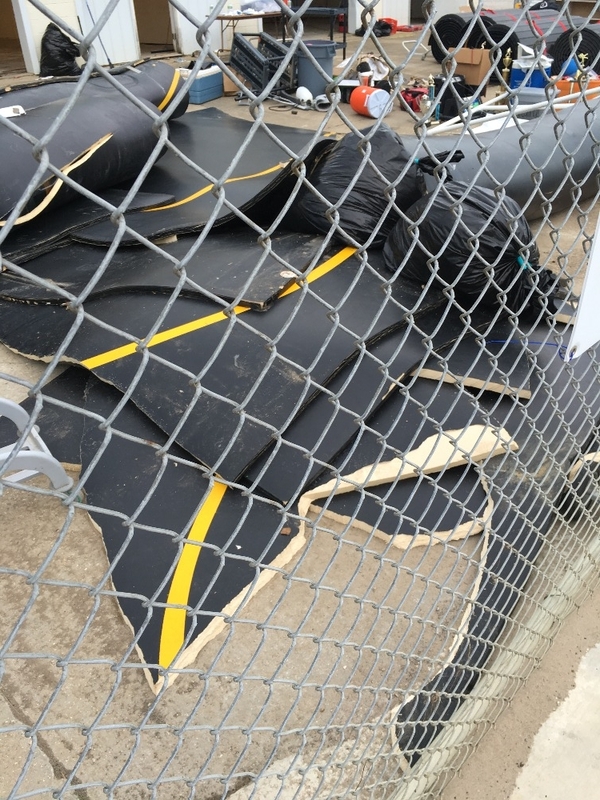 A GoFundMe page raised almost $4,000 to help the Gator wrestling program, but to replace the mats and other equipment, much of it a mere one-year-old, it was not enough. Then some parents of wrestlers from other programs made St. Amant aware of Dollamur Sport Surfaces "Mat Makeover" contest, which provides free mats and equipment to schools based on the question: “Why Does Your Wrestling Program Deserve a Mat Makeover?” The submission of entries from St. Amant parents and from the Louisiana wrestling community as a whole convinced Dollamur that St. Amant was a viable entrant into the contest. With a campaign reach of nearly 110,000 users and more than 100 total entries, voters selected St. Amant High School as the winner based on their impactful story. Dollamur Sport Surfaces is the world's leading manufacturer of high-performance sports flooring for wrestling, martial arts, mixed martial arts, gymnastics, cheerleading and yoga.